Simple take this Wireless Dongle out, push into your USB Port. In the Box will be, Keyboard, Mouse and Dongle. 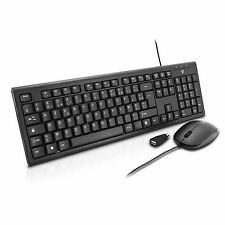 Slim Wireless Keyboard and Optical Mouse set, Tiny USB Receiver. Wireless optical mouse with good touch feeling you can never imagine;. DPI 5500DPI. Adjustable DPI: 1000DPI / 1600DPI/ 2400DPI/ 3200DPI/ 5500DPI. Numéro du modèle wired gaming mouse. 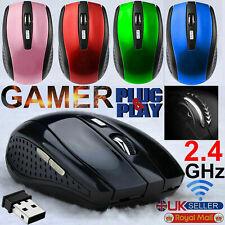 Type gaming mouse. Cable length: approx. 145cm/4.75 feet. Product size: approx. 127 78 38mm/5 3.07 1.49". Apple Magic Mouse 2 neuve et non utilisé. New Apple Magic Mouse 2. One tiny Unifying receiver connects the mouse, keyboard and more compatible devices-without the hassle of multiple USB receivers. An edge light LED backlight is designed in this mouse (no backlight in keyboard). Color:Black;Model Number:MX3; Material:Plastic & SiliconeTransmission and control: 2.4G RF wireless radio frequency technique.Sensor: 3-Gyro 3-sensor;Amount of key: 81 (The Keyboard consists of 38 Keys); Battery Type: 2 * AAA batteries (Not Include)Item size: 16.5 * 5.5 * 1.9cm / 6.77 * 2.2 * 0.7in; Item weight: 94g / 3.32ozPackage List:1 * Multifunctional USB 2.0 2.4GHz wireless remote control keyboard; 1 * USB2.0 Receiver Adapter; 1 * User Manual (English)Full keyboard, air mouse and TV remote.2.4G wireless transmission, the distance is up to 10m.With included USB 2.0 Receiver Adapter, Supports plug and play, no need to install software, it is specially designed for Android system to realize human-computer interactions comprehensively.Motion sensor allow. Type de souris: Souris optique sans fil. 1 x 2.4GHz Souris Sans Fil Portable Optique. Transmission sans fil, la plus longue distance de télédétection jusqu'à 10-15 mètres. Interface: USB. 1 x récepteur USB. 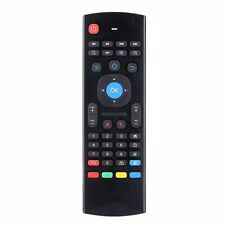 Compatible with Android TV box, HTPC, mini PC, smart TV, projector and all-in-one PC/TV. 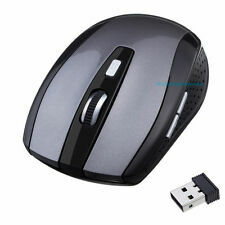 Multifunctional 2.4G wireless air mouse with 6-Axis inertia sensors. Wireless IC: 3-Gyro, 3-Gsensor. This version does not support voice capabilities. Technologie de connectivité Filaire. Type de périphérique Souris. Couleur Noir. To wake it up, press the right or left button. ThisREALMAX® Designed to perform as beautifully as it looks. The contoured and modern designer wireless mouse pairs wireless to your laptop or tablet with the latest Wireless Smart technology to instantly connect without wires or dongles. 69800 SAINT PRIEST. Guide de démarrage rapide. Slim Wireless Bluetooth Keyboard is a perfect choice for iMac, iPad Android Phone Tablet users to carry it out. 1x Slim Wireless Bluetooth Keyboard for iMac iPad Android Phone Tablet. Slim Wireless Bluetooth 78 Key Compact Thin Keyboard. MK120 Keyboard and Mouse. Keyboard & Mouse. The slim keyboard isn't just sleek-it's tough with a spill-resistant design, sturdy tilt legs and durable keys. You'll be moving along smoothly with a precise, high-definition optical mouse to help you get around. Genuine UK MSI | 2 Year Warranty! | FAST Delivery! 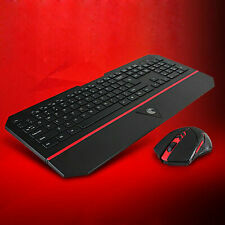 Features: 2.4GHz Ultra-Thin wireless desktop/laptop keyboard & mouse. The new keyboard is your ideal partner for a better gaming experience. Ergonomic design, stylish, comfortable feel. Adjustable DPI, Plug & Play Mouse. 1 USB DONGLE. 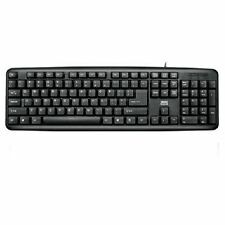 1 WIRELESS KEYBOARD SK-2063. PERFORMANCE MK850. WIRELESS KEYBOARD AND OPTICAL MOUSE. TYPE AND SWITCH BETWEEN DEVICES AT THE TOUCH OF AN EASY SWITCH BUTTON. 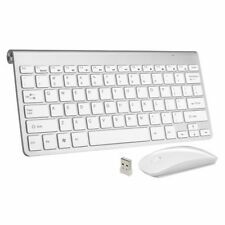 Apple Wireless Bluetooth Magic Keyboard 2 MLA22D/A mit Magic Mouse 2 MLAQ2D/A. "Das Magic Keyboard kombiniert ein schlankes neues Design mit einer integrierten wiederaufladbaren Batterie und erweiterten Tastenfunktionen. Es koppelt sich automatisch mit deinem Mac und ist direkt einsatzbereit. Cynosa Chroma Gaming Keyboard, Abyssus Essential Gaming Mouse, and Goliathus Chroma Gaming Mouse Pad. Razer Cynosa Chroma - RGB Gaming Keyboard with Individually Backlit Soft Cushioned Keys and Spill-Resistant Durable Design. Carry Bag+Hard Case+Wireless Mouse+KB Cover for Macbook Pro/Air/Retina 11/13/15"
Bluetooth Wireless Keyboard and Mouse - Arteck HB030B + Tecknet BM307 - NEW! Bought brand new on Amazon, tried them out, decided to go with Apple products. The Arteck keyboard is a universal backlit Bluetooth keyboard with red LED backlight (not super bright). It can connect via Bluetooth to Mac or PC. It is rechargeable via usb. The Tecknet mouse is a cordless Bluetooth mouse that didn’t work with my MacBook as I thought it would when reading reviews on amazon. It says it works well with windows/pc’s. 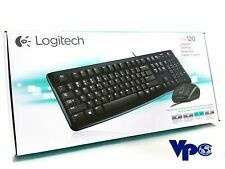 The keyboard was $19.99 and the mouse was $16.99, I’m selling both for $35 with free shipping. Apple magic keyboard 2 and magic mouse 2. Shipped with USPS Priority Mail. 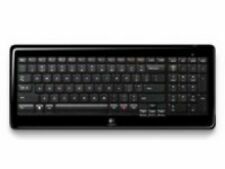 Panasonic Toughbook Emmisive Backlit Keyboard - US Layout. Emmisive Backlit Keyboard for the Panasonic Toughbook fully-rugged laptop computers. Compatible with the following Panasonic Toughbook models. MX3 BackLight 2.4 Wireless Fly Air Mouse Keyboard. 1 x MX3 Air Mouse. No need to any other drivers, just pop in the batteries, stick the USB dongle into your device, then you're ready to go. Support LED backlight so that all keys are visible in the dark. Enhance your productivity with the wireless convenience of the Lenovo Essential Wireless Combo Keyboard and Mouse. 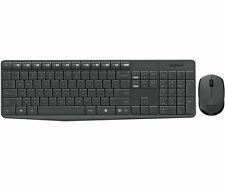 Lenovo Wireless Keyboard and Mouse. Connect both keyboard and mouse using only one nano USB wireless receiver without the hassle and the clutter.